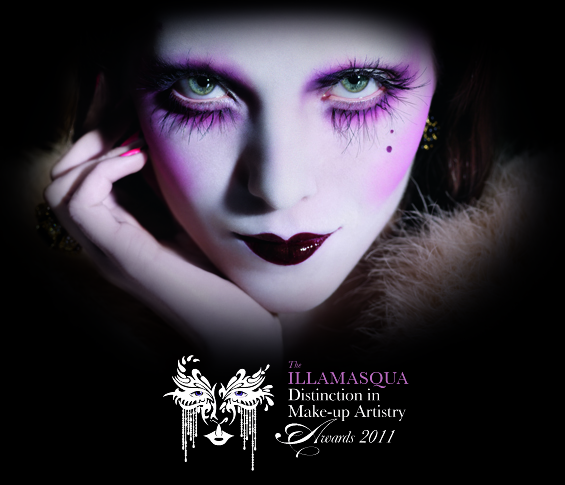 Final days to register for Illamasqua’s Distinction in Make-Up Artistry Awards! With just 2 days left to register for the Distinction in Make-Up Artistry Awards this is the last chance to sign up for the chance to launch your career and win some amazing prizes. As the first stage of the entry to the awards is it essential that you register as a Professional or Student by 31st July 2011! 2. You will receive notification of your registration. Once you have registered you will need to send in your application form and 2 photos of your work – 1 fantasy and 1 beauty look. 1. Click here to find out all about the fabulous prizes and the details behind the awards. Register today for the Illamasqua Distinction in Make-Up Artistry Awards!